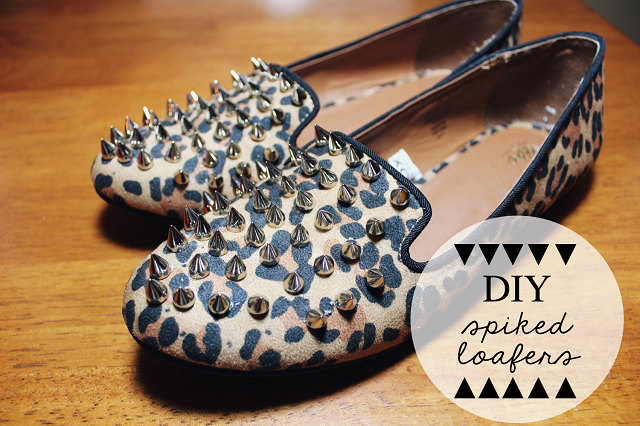 I came across the cutest blog which has inspired me to try out her DIY spiked loafers. 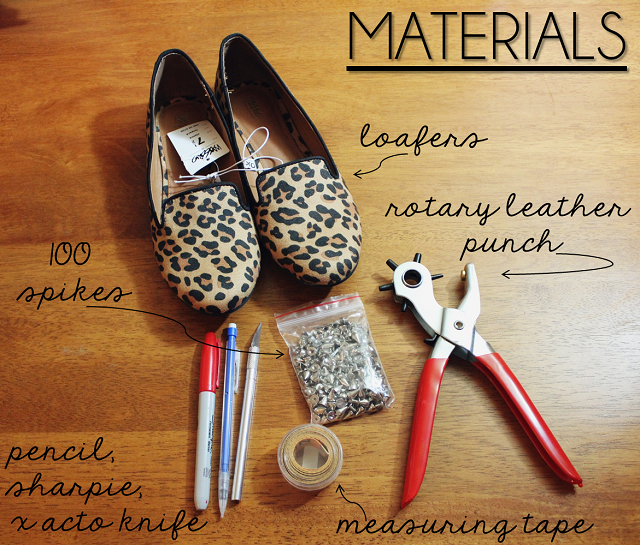 Here are the materials that she used and she has a step by step instructional on her blog. Its super easy, affordable and cute. Happy spiking! Looks easy. I must try. Once I master it I think I will be spiking everything. LOL!